How Well Do You Know Your Agents? A funny thing happened to me the other day that inspired this month’s Rant. I was trolling around the web hoping to find information on how Contact Center agents feel about their jobs. I hit the jackpot with Glassdoor.com and Indeed.com where companies register for a multitude of services. One of these allows employees to post pros and cons of their positions. Contact Center agents don’t hold back! The agent reviews come from a variety of companies, yet the trends are the same across industries. “Good” employers are largely given good feedback and “not so good” are given, well, not so good feedback. The interesting thing for me is the similarities in agent perceptions. I bubbled up the most common PROs and CONs as a litmus test to use in your own Contact Center operations. Let’s begin with the CONs of the jobs. I identified the three most common threads: Micromanagement, Management in General, and Poor or Insufficient Training. The direct quotes are stingingly self-explanatory. Employees are treated like machines. Emphasis on metrics and ‘points’ rather than actual hard work completed. Manager constantly breathing down your neck. Lots of metrics that seem to micromanage employees, making you feel you are not doing well even if you are. Treated employees as numbers and micromanaged their daily activities to the point of detriment. Interestingly, one of the most common callouts is “favoritism” displayed by management. Lots of favoritism at play. If you get a manager who likes you, you’ll move up. If not … you’re hosed. People apparently like to be managed by qualified people. Anyone that has read any management books or articles over the years has seen an abundance of evidence to support the reality that employees don’t leave positions, they leave managers. The Contact Center is no exception. You hire people who look good on paper but have no ability to manage and regularly lose good employees to poor culture. Another interesting finding is the perceived disingenuous nature of some messages in the Contact Center. The overall work environment is often made up of agents trying to absorb workarounds, complicated systems, and a seemingly never-ending flood of changes. Stop emphasizing ‘Customer Care’ when you can’t be bothered to truly show any care to your Customer Service Representatives. Too many programs and procedures for a myriad of situations that change too frequently. Like it or not, management impacts the perception of culture and environment and perception drives morale. Poor management cannot be masked regardless of how many pizza or sundae parties are offered. Keep your environment positive at all times; remember that bread and sugar do not improve morale. Hours are way too long and the work load is just way too overwhelming. You are constantly hit with numbers and statistics that are just unreal. It seems like the company cares more about numbers than their members or workers. While we all recognize the importance of metrics, far too many Contact Center leaders do not comprehend the purpose of metrics beyond using them as a means to measure individual “performance.” I actually struggle to use the word performance because generally speaking it is NOT about actual performance; it becomes more about perceived production. The most important aspect of metrics is to be ACCURATELY reported in order to be utilized properly for resource planning and for meeting objectives. When metric goals are arbitrarily set, they often create conflicting criteria between quality and quantity. And in my experience quantity (unfortunately) always wins. The losers are the customers that are given poor or insufficient service and the company that loses burned-out staff. Solid training for the Contact Center, or rather the lack of it is cited as a critical factor for agents. Service team is poorly trained. Schedule more time for agents to be off the phone to hear and understand procedural updates and changes. Far too many emails are being sent to agents with little or unnecessary information which agents are taking the time to read, hurting their stats. When coaching is a form of training, leaders must monitor the program for effectiveness. If not, “coaching and one-on-one sessions are seldom positive.” People don’t learn from negative interactions. On the PRO side, the most common comments from agents fall into the categories of Benefits, Training, and Management Support. No surprises here! “Great benefits” is cited repeatedly by agents. Can you say these things about your company? Pay was excellent for an entry-level position. Excellent benefits; ample PTO, holidays, flexible schedule if you plan ahead for several months. Great work/life balance; wonderful compensation. If these things apply to your company, what a positive impact to your hiring and staff retention! There is tremendous value in the education of adults in both job skills and human qualities such as positive communication, rapport building, de-escalation, problem solving, critical thinking, and emotional intelligence. These are valued professionally and personally and in all aspects of human interaction. Learned a lot of skills and lessons to apply in everyday life. Excellent hands-on training, independent job responsibilities, teamwork encouraged. Great at creating activities – more opportunities to learn about products and promos. Fast advancement – great training. I did learn how to use quite a few different softwares and techniques to not lose my cool under pressure. Comments around honest, genuine, and ongoing support of Contact Center management abound. Here are just a few examples! Management was great. Very positive environment. Everyone wants to see you excel and grow. The supervisors are there to help you improve in areas you are lacking. The management team is awesome within the company; they acknowledge our work with rewards. My manager was a great example of excellent leadership. My management is very supportive, has a friendly behavior, always encourages the employees at work, and fulfills all the needs of the employee. Always had assistance when needed, fun environment, and they treat their employees well! 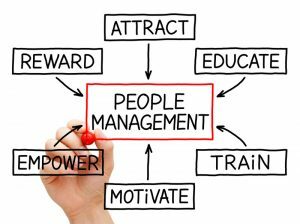 Management is very helpful and devoted to making the company better. Upper management was fantastic. Friendly, helpful, and encouraging. Great management ladder program – many opportunities. It is not complicated. If you want your Contact Center to be a professional business environment it is a very good idea to study these PROs and CONs. Ask yourself, “How do I think my agents would respond if asked to provide their PROs/CONs and advice to management related to their job?” Then go ahead and ask. This can be done anonymously with simple index cards or boldly and publicly by registering at Glassdoor.com! (If you feel more comfortable and less vulnerable by the tried and true paper method, go with the index cards. Keep in mind that the Contact Center world is changing significantly. For the most part, automation has offloaded many simple tasks and consumers have demonstrated a preference for self-service. The outcome is that today’s Contact Center agents are handling the more complex or complicated interactions. They require not only a higher skill set but also targeting training, the steady and helpful hand of management, and fair compensation and benefits that match the demands of the job. Today’s leaders MUST strive for recognition … for the value of the Contact Center’s contribution; for the true cost of excellent resources, compensation, and benefits; and for the talent to manage the operation based on well-established practices. Otherwise, the CONs will win and the Contact Center will be left with high turnover, poor performance, and little value at the senior level.